Keeping track of time in the workplace is not news; businesses have been adopting time and attendance system for quite sometime and many have been managing it well without requiring automated or complicated software. That is, if the business only requires you to keep time and attendance fairly simple by only collecting employee recorded time and pay them accordingly. However, businesses these days have progressed and are becoming more complex, hence requiring time and attendance system that caters to the requisites that goes beyond only tracking time for salary. Time and attendance system for today’s business operation should be able to automate time and expense approval, to provide management with real time workforce situation, to match demand with resources, to be able to do scheduling and many more. Check out the tips to choosing Time and Attendance System to better manage your businesses’ dynamic workforce for better ROI. Centralized Management – Choose a system that can consolidate all time clock data into one software, either on-premise or a cloud-based solution software such as www.timetecta.com for an automated system which is easily accessible by authorized HR personnel. Complete Workforce Data – A good system should contain all the important information about your workforce and more, making it a one-stop center for your employee’s information so you don’t have to maintain few separate records to sustain the complete one. Managing Compliance – Can the system comply with all the labor practices requirements is the question. You shouldn’t be worry whether your process is in compliant with the labor law requirements when the software takes care of it. Real-Time Data – Batch processing is not comforting anymore, and a time and attendance system must have the ability to provide users with real-time data and allow real-time editing to make sure that the data is always updated to reduce end-of-the-month workload. Employee Schedules – To match your business requirements with resources, a good time and attendance system has to be able to support employee’s complex time schedules and at the same time flexible enough to cater for changes. User Experience – Users usually don’t have much time to learn about software or simply do not prefer to spend much time to do it. Therefore, a good time and attendance system must be user-intuitive and provides positive user experience, where users can get familiarize with the system as quickly as possible. Integration – Last but not least, when choosing a time and attendance system, it needs to be able to integrate with payroll solutions to transfer clocking data and translate it into payroll calculations smoothly. Is your current time and attendance sufficient for your business operation or you actually require a better system to handle all the complexities of today’s business? FingerTec (www.fingertec.com) provides biometrics time and attendance hardware and software solutions for time and attendance system. 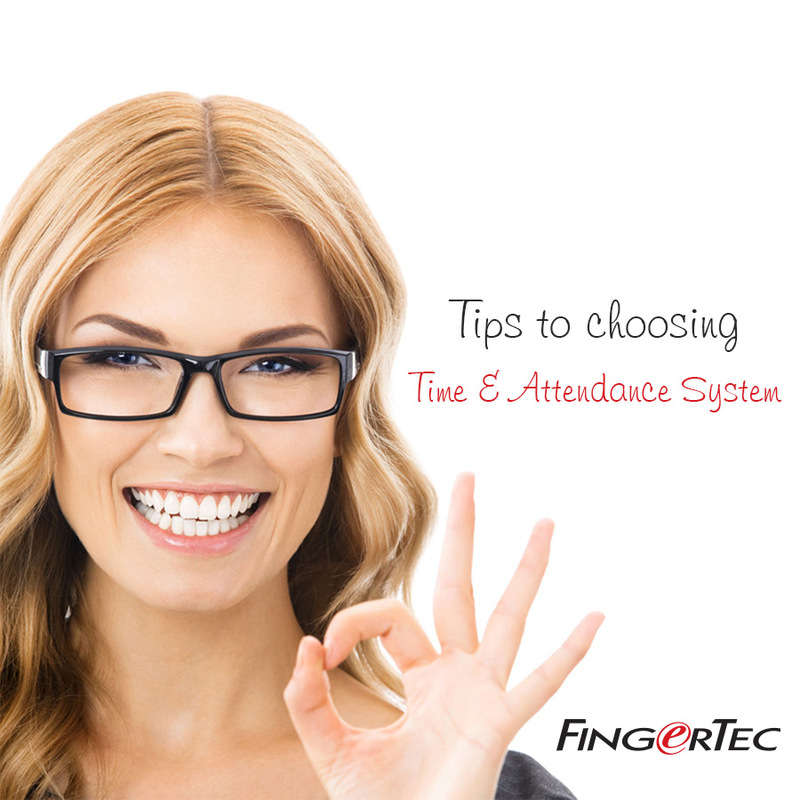 All FingerTec products come with complementary Time and Attendance Software. For operations that require cloud-based time and attendance solution, TimeTecTA caters for all your time and attendance need plus management of mobile workers through the use of TimeTec Mobile in iOS and Android. Browse www.timetecta.com for more information. INGRESS WILL IMPRESS: MAKE THAT SWITCH NOW! Allow us first-hand view of errors and glitches, and let us fix them for you instantly. Find out how here. The brand FingerTec was born in 2000, with a visionary objective to bringing the then high-tech fingerprint technology normally used by government sector into a technology that is viable, affordable and reachable by mass commercial market.